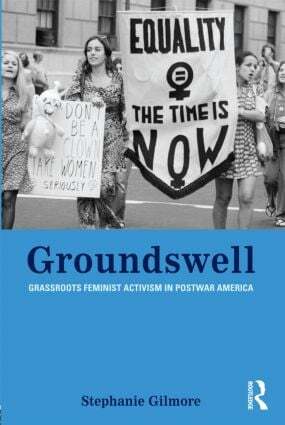 Groundswell: Grassroots Feminist Activism in Postwar America offers an essential perspective on the post-1960 movement for women’s equality and liberation. Tracing the histories of feminist activism, through the National Organization of Women (NOW) chapters in three different locations: Memphis, Tennessee, Columbus, Ohio, and San Francisco, California, Gilmore explores how feminist identity, strategies, and goals were shaped by geographic location. Departing from the usual conversation about the national icons and events of second wave feminism, this book concentrates on local histories, and asks the questions that must be answered on the micro level: Who joined? Who did not? What did they do? Why did they do it? Together with its analysis of feminist political history, these individual case studies from the Midwest, South, and West coast shed light on the national women’s movement in which they played a part. In its coverage of women’s activism outside the traditional East Coast centers of New York and Boston, Groundswell provides a more diverse history of feminism, showing how social and political change was made from the ground up. Stephanie Gilmore is Assistant Professor of Women's and Gender Studies at Dickinson College. She is the editor of Feminist Coalitions: Historical Perspectives on Second-Wave Feminism in the United States.